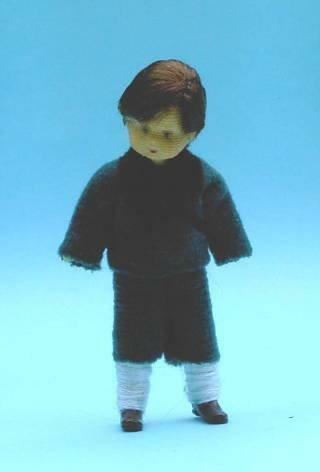 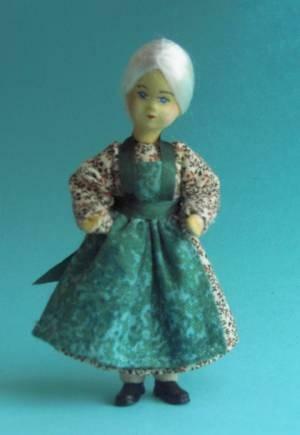 1/24th scale Flexible Lady Doll from Erna Meyer of Germany. 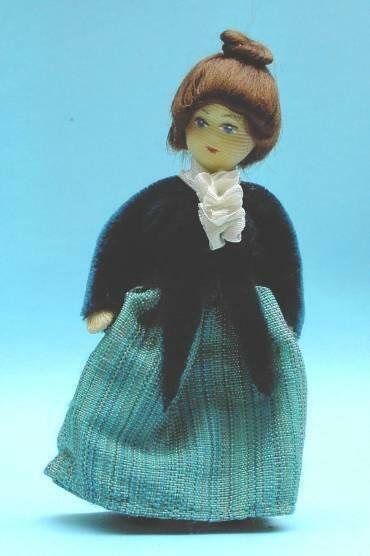 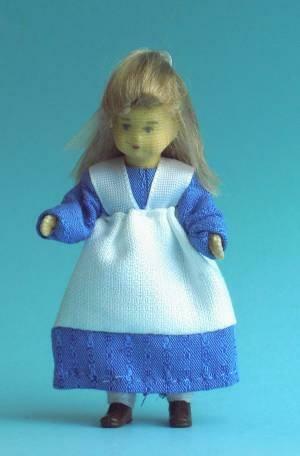 Dressed in period costume, blue dress with lace collar. 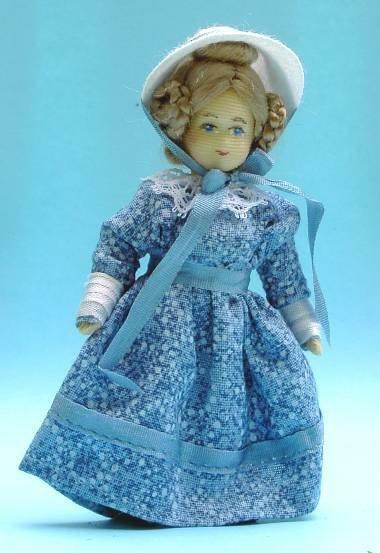 This last batch of dolls have white ribbon around the bottom of the dress, waist and on the hat.